Welcome to Lyndon & Lyndonville Vermont's Website! The Town of Lyndon was founded in 1780. It is located in Caledonia County, within the beautiful region of Vermont called the Northeast Kingdom. Lyndon is six miles square (36 square miles) in area and has a population of 5,981 residents (2010 census). It is recognized as the "Covered Bridge Capital of Vermont's Northeast Kingdom". Lyndon is surrounded by some of Vermont's most gorgeous natural beauty. This New England community is home to Lyndon Institute and Lyndon State College, and is nearby to the Burke Mountain Ski Area. The Village of Lyndonville, located within the Town of Lyndon, was incorporated by an act of the legislature dated December 24, 1880. Within the Village, Bandstand Park (formerly known as "Lyndonville Park"), stands a fountain, which was purchased in New York in 1885. The Park hosts many events from weekly band concerts in the summer, a Farmer's Market, and craft fairs to community events, weddings, and your everyday year round enjoyment. The Village of Lyndonville also manages Lyndonville Electric Department and the Water Department. DUE TO RISING COSTS OF CREDIT CARD PROCESSING, IF YOU CHOOSE TO USE YOUR CREDIT CARD TO PAY YOUR UTILITY, SANITATION OR PROPERTY TAX BILLS, YOU WILL BE CHARGED 3.5% PER TRANSACTION. The Town of Lyndon has a seasonal opening in the Cemetery Department. The available position is for 40 hours per week for 22 weeks (May 1 - October 1). The position is available starting May 1st, 2019. Skills required are ability to operate and maintain a push mower, riding mower, and a gas trimmer, as well as other hand tools to care for our cemetery. We are looking for someone who is willing to work and be part of a team. Applications may be picked up at the office of the Town Administrator or click here to print off a copy of an Employment Application which will be accepted until the position is filled. The Town of Lyndon is an Equal Opportunity Employer (EOE). 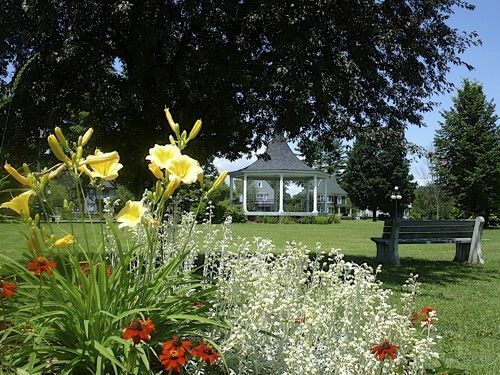 The Village of Lyndonville is seeking a summer employee to assist the Public Works Department primarily with the mowing and trimming of the Village owned parks, and with the watering of the flower planters and any new trees throughout the downtown. In addition, this individual would be responsible for assisting with equipment, street, and sidewalk maintenance. The position would begin approximately May 1 and end approximately September 30, and would consist of working 4, 10 hour days Monday - Thursday. The successful applicant will enjoy working both outdoors and indoors, while being called upon to work as part of a team or individually in some instances. The ability to act professionally and interact tactfully with the public is required. Applicants must have a valid driver's license. Applicants may pick up an application at the Town Clerk's office at 119 Park Avenue or click here to print off a copy of an Employment Application and return the completed form to the Municipal Administrator's office. Pay would be $12.36 per hour. Applications will be received until the position is filled. The Village of Lyndonville is an Equal Opportunity Employer (EOE). The Town of Lyndon has contracted with New England Municipal Consultants, Ltd. to inspect and review property in order to collect and verify building permit and assessment information. John Guertin, is an employee of New England Municipal Consultants, Ltd. and has been approved by the Town of Lyndon for the revaluation program. If you have any questions regarding this individual, please call the Listers office at (802)626-1270. ENVISIONLYNDON What does Lyndon's future look like? We want to hear from you! Visit envisionlyndon.org to take the Community Vision Survey and find out more about the 2020 Town Plan. Take part in the vision of your Town's future. Click here to view the Town Plan 2020 Workshops which will be held during May, June and July, 2019. Mark these dates on your calendar and join your fellow community members to make Lyndon's vision a reality. The 2018 Village of Lyndonville Water Quality Report has been posted to our website. Click here to view the 2018 Village of Lyndonville Water Quality Report"